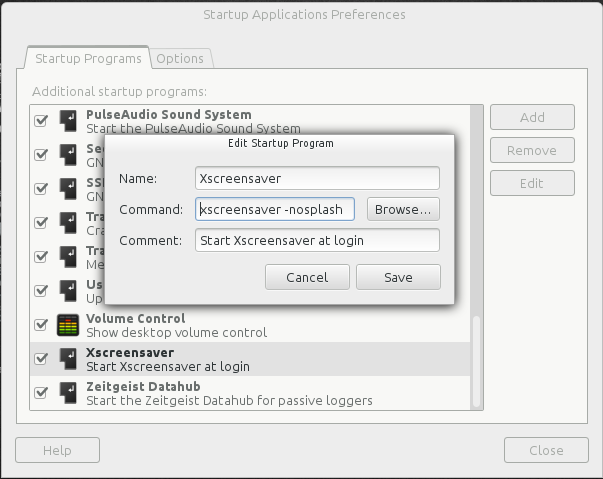 By default Gnome screen saver is a black screen and a very annoying one trust me. Most of it’s functions will not work like goes to sleep mode every 1 or 2 minutes. Edit it to your taste or even disable it completely as i did. Click add button and done.